Meet Brianna, one of our fundraising heros from 2017. Brianna is one of our members who volunteered with Red Cross as a street collector. Usually street collectors volunteer for one timeslot; last year Brianna volunteered at twice over the two-day street appeal! 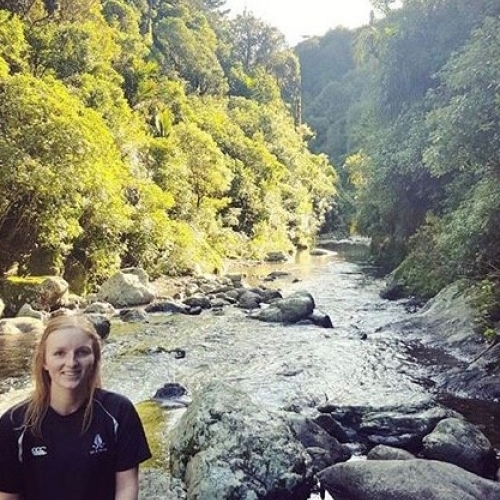 She then took part in Red Cross Journey as a team with her university's Asylum Seeker Support Group, and won the social media competition with this photo of her clocking steps up in the bush. Brianna did this all while studying for her degree, and is now working part time while completing her professionals course to be admitted to the bar. If you haven't already, jump on social media to post a photo and hastag #redcrossjourney and #kathmandu. The prize winners will be chosen by our friends at Kathmandu after Red Cross Journey ends on 31 May. Good luck!